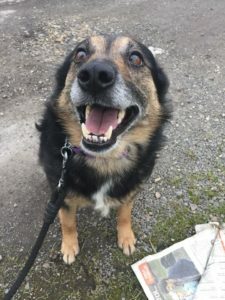 Delilah is a lovely small – medium sized Crossbreed approx 5 yrs old who is looking for her dream home. 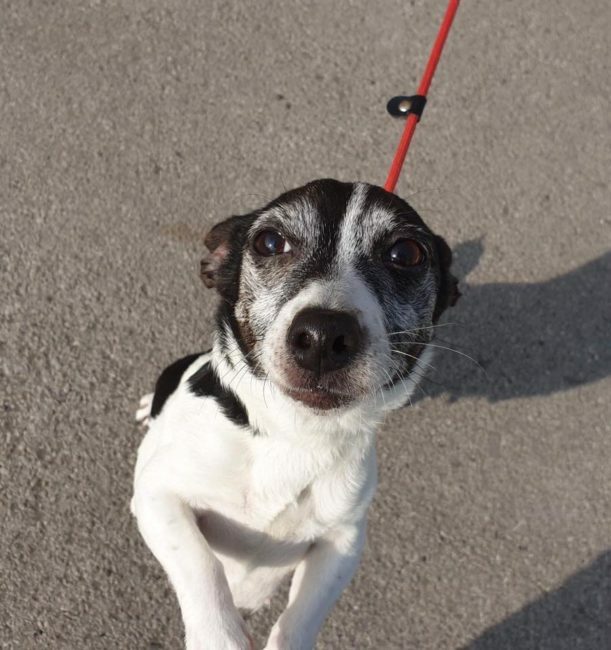 She is a friendly little lady who loves having a fuss, she does jump up a bit to say hello, but isn’t boisterous. Delilah hasn’t walked on a lead much before, so is a bit nervous and weaves around, but once she gets going with a little encouragement she’s happy to trot along and walks very nicely (she doesn’t pull). She will sit for a treat. Delilah is very clean and is fully housetrained, she also doesn’t chew and will be fine to be left for a few hours during the day. She does bark at dogs when she’s out and about, but when she’s met dogs around kennels she has been fine. We imagine she’ll be quite a good little guard dog and will let you know when someone is at the door! She is a real character and will be a very loyal companion to her lucky new owner.